A clean, efficient and mild method is presented for one-pot three-component synthesis of 2-amino-7,7-dimethyl-4-(4-(methylthio)phenyl)-5-oxo-5,6,7,8-tetrahydro-4H-chromene-3-carbonitrile using nickel ferrite magnetic nanoparticles as a recyclable catalyst in green solvent at 40 °C. 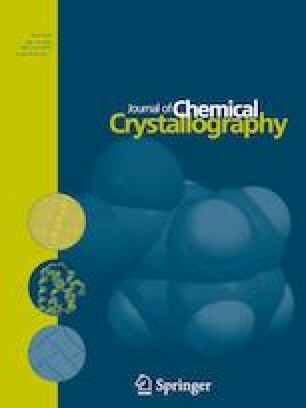 The structure of the target product was confirmed by FT-IR, 1HNMR, 13CNMR and single crystal X-ray structure analysis. In the present work, the quantum theoretical calculations of the molecular structure of this new compound have been predicted using Density Functional Theory in the solvent DMSO. The geometries of the title compound were optimized by B3LYP/6-31+G* and B3LYP/6-311++G** levels of theory. The electronic spectrum of the title compound in the solvent DMSO was carried out by TDB3LYP/6-311++G** method. 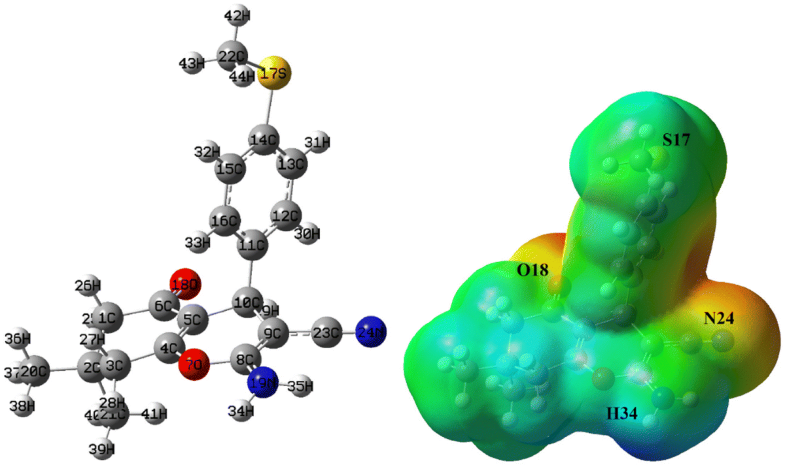 Frontier molecular orbitals, molecular electrostatic potential, electronic properties, natural charges and natural bond orbital analysis of the mentioned compound were investigated and discussed by theoretical calculations. In the present work, the frontier molecular orbitals, molecular electrostatic potential, electronic properties, natural charges and Natural Bond Orbital (NBO) analysis of the mentioned compound were investigated and discussed by theoretical calculations. The online version of this article ( https://doi.org/10.1007/s10870-019-00778-5) contains supplementary material, which is available to authorized users. The Iranian authors are thankful to the “Iran National science Foundation: INSF” (Grant No. 95841255) for support of this work.